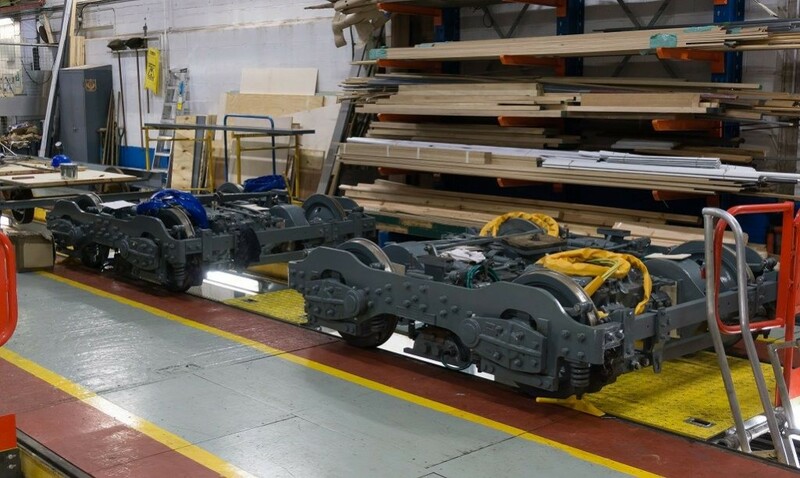 The ongoing reconstruction of London County Council 1 - more popularly known as ‘Bluebird’ – in the Crich workshops remains ongoing. 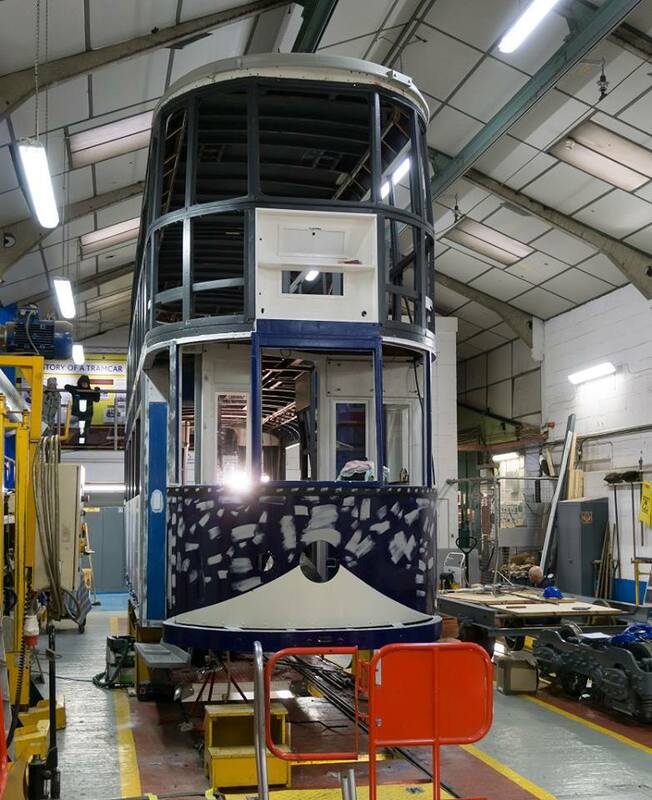 In recent weeks and months, significant progress has been and the car is now looking much more like a tram again! Some photos have been provided by the London County Council Tramway Trust’s Facebook page, showing what has been achieved recently. 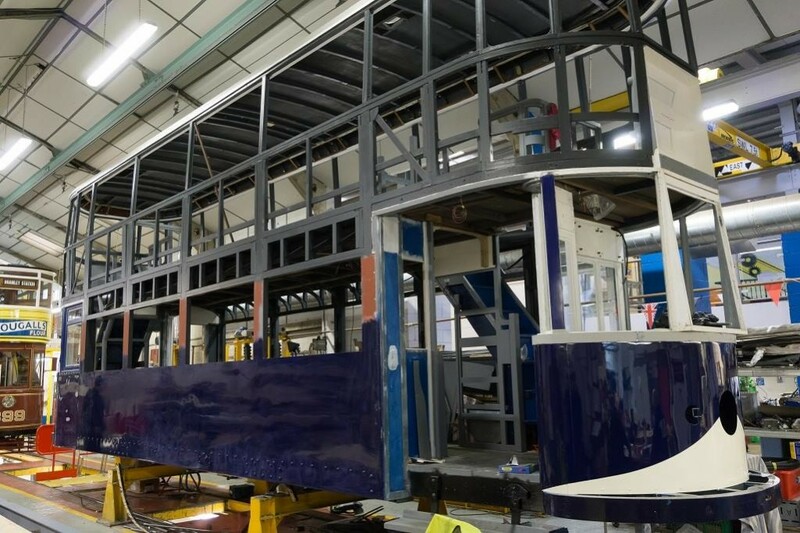 The car body is now at an advanced stage with early traces of the striking blue and white livery now evident, particularly on the dash panels, offering an early glimpse of how the completed tram will look. Filler continues to be applied to the north end dash ahead of more layers of paint being added. 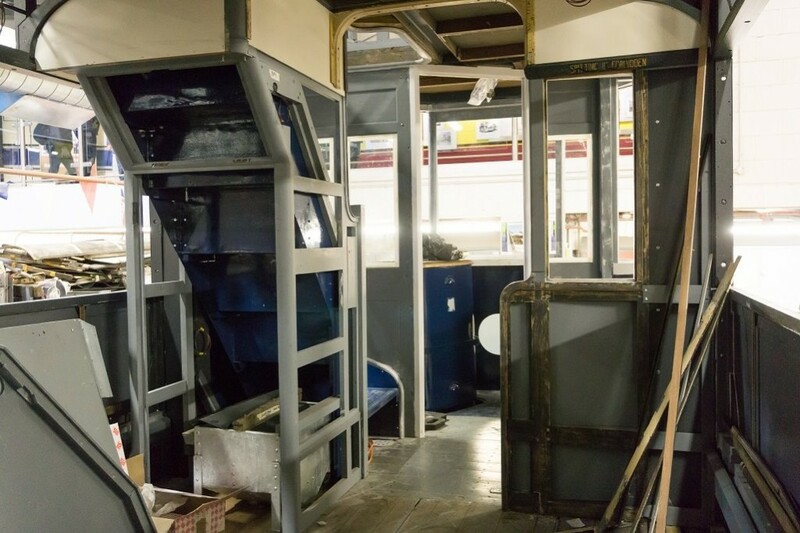 Internally, assembly of the cab partitions and bulkhead panels has now been carried out. Finally, the bogies have been rebuilt and were recently moved to a new position alongside the tramcar itself. It is hoped that they will soon be back under the car, which will then be much easier to move around. It is anticipated that this will allow London Transport 1622, another past beneficiary of LCCTT support, to be lifted for a heavy overhaul of its own trucks. The result should be that five London trams will be operational at Crich in the next few years, an all-time record for the museum which will no doubt create some memorable sights and is sure to be a cause for great celebration! A view from the front of the workshop showing the latest progress on this end of LCC 1. Inside the workshop we get a better look at LCC 1 and the paintwork on its lower deck end and sides, with the stunning blue livery and white end 'V' in evidence. What a beauty! An interior view of the lower deck shows the cab end bulkheads, although there remains much fitting out to do. Even the staircases are blue! Its just absolutely stunning. It has to be said.